The 2019 WTA Tour is the elite professional tennis circuit organised by the Women's Tennis Association (WTA) for the 2019 tennis season. The 2019 WTA Tour calendar is composed of the Grand Slam tournaments (supervised by the International Tennis Federation (ITF), the WTA Premier tournaments (Premier Mandatory, Premier 5, and regular Premier), the WTA International tournaments, the Fed Cup (organized by the ITF), and the year-end championships (the WTA Tour Championships and the WTA Elite Trophy). The Hopman Cup, organized by the ITF, also is included but does not distribute ranking points. Naomi Osaka won her second consecutive Grand Slam title at the Australian Open by defeating Petra Kvitová in the final and took over the WTA no. 1 singles ranking. 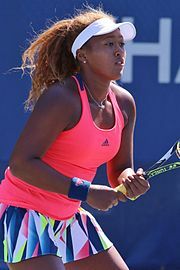 At the age of 21, Osaka is the youngest woman since Caroline Wozniacki in 2010 to become the no. 1 player, and the first Asian player ever to take the top spot. The WTA have announced that a shot clock will be used at all Premier events. Players will have a minute to get on court, five minutes to warm up, and one minute to start the match. The time allotted to players in between points has been increased from 20 to 25 seconds. Finally, players are allowed only one toilet break in a match. This is the complete schedule of events on the 2019 calendar, with player progression documented from the quarterfinals stage. August 19 No tournaments scheduled. These are the WTA rankings and yearly WTA Race rankings of the top 20 singles and doubles players at the current date of the 2019 season.